National BestsellerIn her stunning first novel, Amy and Isabelle, Elizabeth Strout evokes a teenager's alienation from her distant mother—and a parent's rage at the discovery of her daughter's sexual secrets. In most ways, Isabelle and Amy are like any mother and her 16-year-old daughter, a fierce mix of love and loathing exchanged in their every glance. And eating, sleeping, and working side by side in the gossip-ridden mill town of Shirley Falls doesn't help matters. But when Amy is discovered behind the steamed-up windows of a car with her math teacher, the vast and icy distance between mother and daughter becomes unbridgeable.As news of the scandal reaches every ear, it is Isabelle who suffers from the harsh judgment of Shirley Falls, intensifying her shame about her own secret past. And as Amy seeks comfort elsewhere, she discovers the fragility of human happiness through other dramas, from the horror of a missing child to the trials of Fat Bev, the community peacemaker. 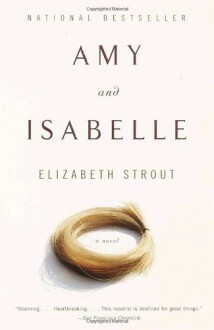 Witty and often profound, Amy and Isabelle confirms Elizabeth Strout as a powerful new talent.